Description: A free customizable personality pie chart template is provided to download and print. The amazing part of this template lie in its automation. After you enter the data, the shape will change automatically. Quickly get a head-start when creating your own personality pie chart. 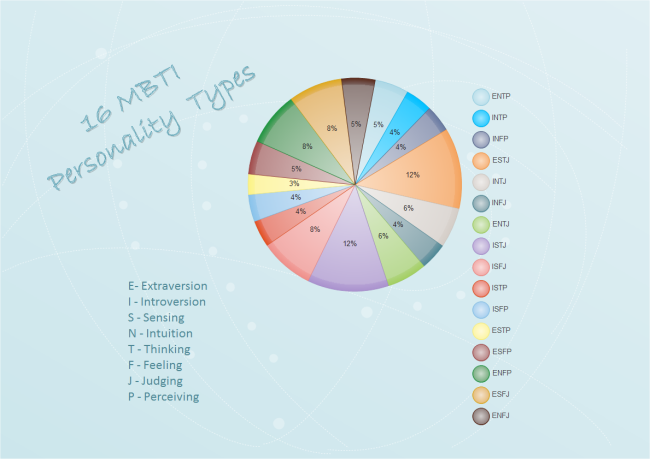 Here is a simple personality pie chart example created by Edraw Max, which is available in different formats.